On a recent business trip to Galveston, the schedule was busy and I had very little free time to explore around the island. 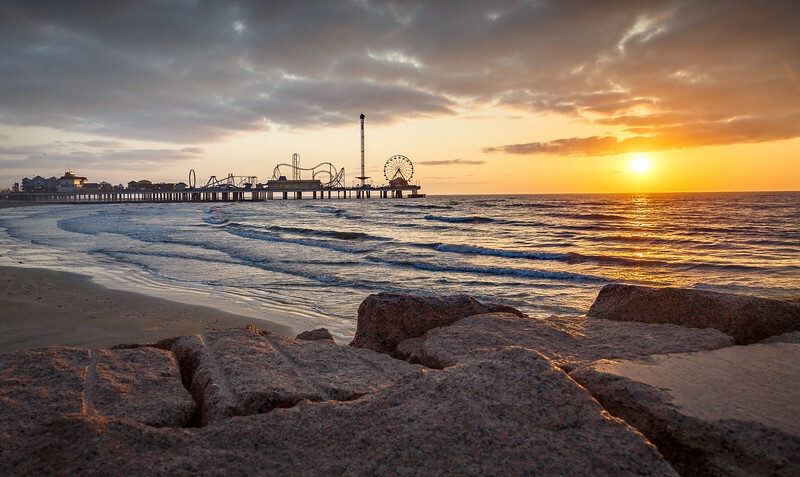 Since my day was busy, I rose early to shoot a sunrise at the Pleasure Pier. Fortunately, the weather was nice and the earlier fog dissipated just before sunrise. It was nice to venture out, if only for a short time and watch the dawn of a new day. Beautiful! Love the reflection of the sun on the edge of the rocks. Very Nicely done Tim. Early bird gets the worm or in your eye, you were able to capture a great view that a lot of us would never see. Thanks for sharing.